Don’t let this big daddy sneak up on you in the dark! 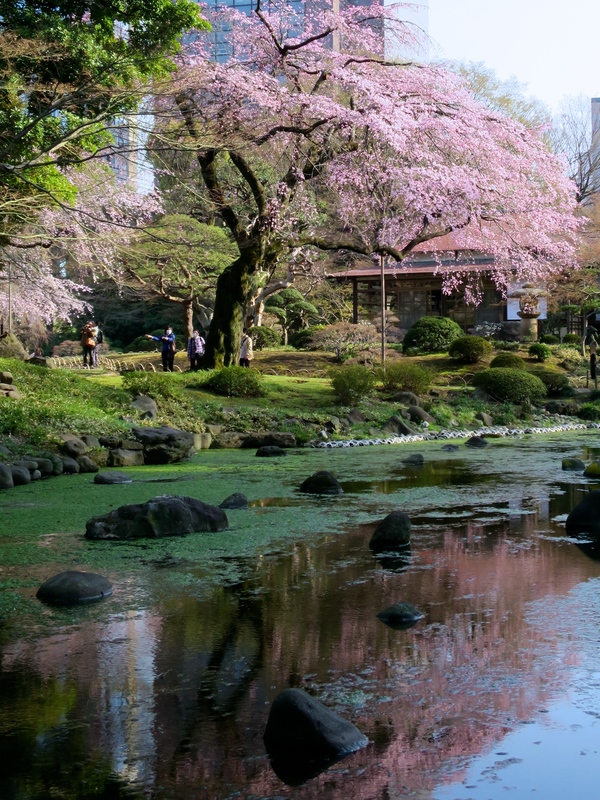 In Japan they don’t mess around when it comes to cherry trees. 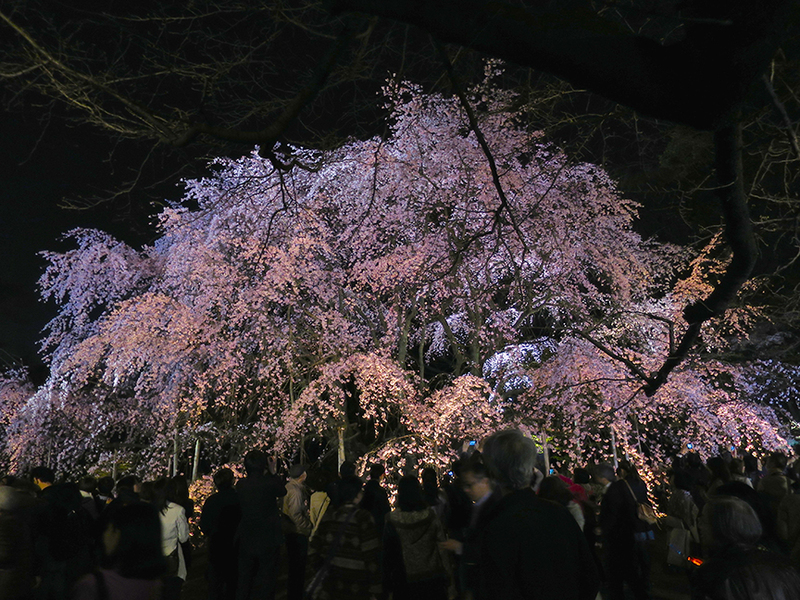 I saw this explosion of goodness last night at Rikugi-en garden in Tokyo, where they light up the all-powerful sakura until 9:00 every night during The Season. 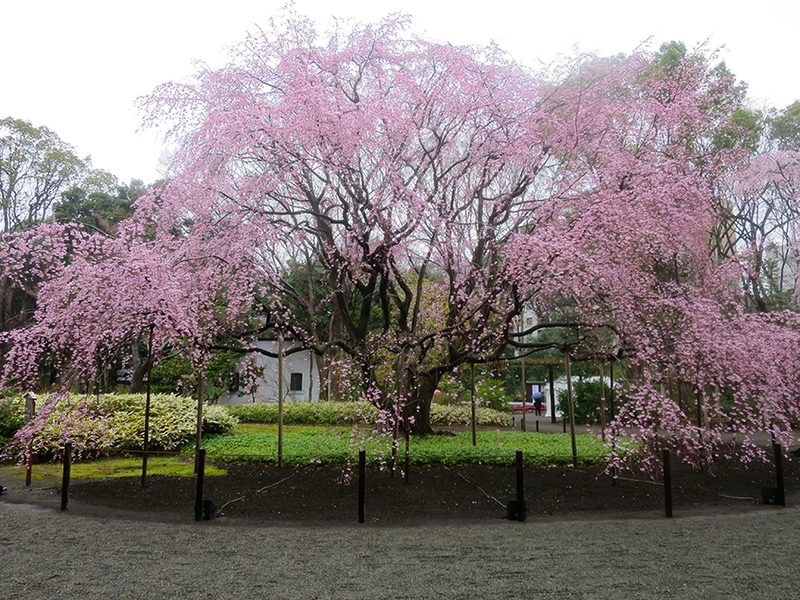 But this one isn’t the only monster in town – in general, cherry trees here look like they’re on steroids compared to their puny ornamental cousins back where I come from. It looks even bigger in the daytime, don’t you think? Here’s another behemoth – this one’s at Korakuen.